Another of the lovely Harris Tweeds straight from the weaving sheds around Tarbert! 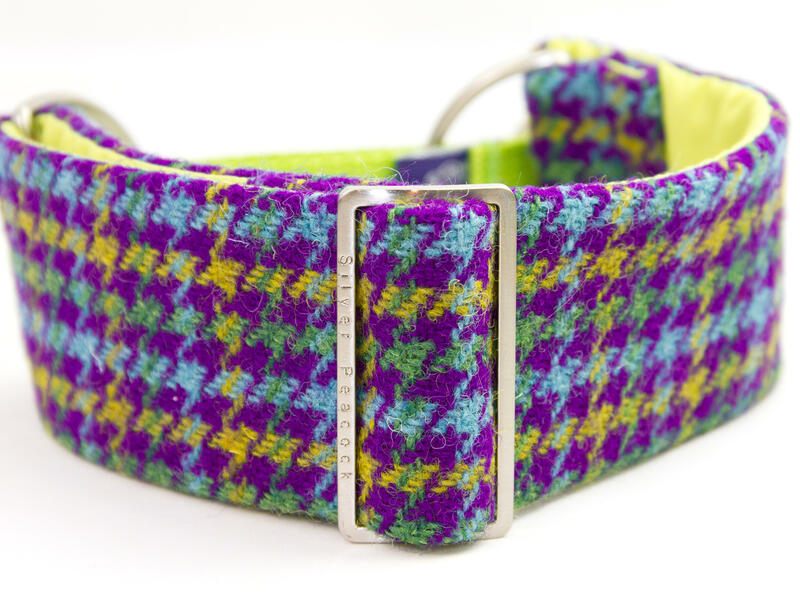 This tweed is a genuine Harris Tweed with it's typical "fuzzy" finish, with a classic Kaona design of jewel colours with a violet purple overtone. 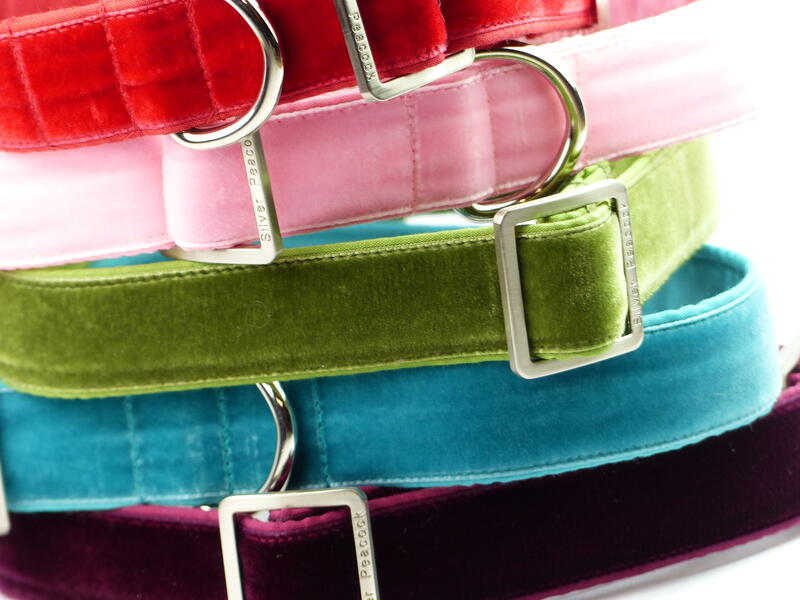 The collars are lined in contrasting moss green fabric and are finished with our signature robust silver coloured hardware. It has a light purple coloured webbing section.